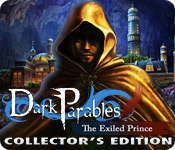 Dark Parables: The Exiled Prince Collector's Edition is rated 4.3 out of 5 by 67. Rated 5 out of 5 by anabigfish from Stunning And Mesmerizing! After I played the first Dark Parables game I was captivated and when this one came out, I immediately got it because I just couldn't wait. It was only recently that I played it again and I have to say, it is still just as wonderful as the first time I played it. The storyline immediately draws you in, keeps you guessing, and the graphics are so stunningly beautiful and as you move around in this underground castle, you immediately begin to feel that Dark Parables twist on the fairytale which makes it so much more interesting. This game is absolutely wonderful and the visuals are beyond the charts! Rated 5 out of 5 by hollyjh from Best game ever This is my favorite game, not only including Blue Tea games, but all the Big Fish games. There is not a single thing about it that I don't love. All the Blue Tea games have a great story that you love to be a part of and they are incredibly beautiful to look at. Rated 5 out of 5 by kashka70 from Excellent I have played this game at least ten times and every time I get goose bumps. Love the story and how the whole game flows. I have played all the Parables games and this is still my favourite. Love the FROG! Such a sad story but very interesting. This is the best game I have played and always go back to replay it. Music is so beautiful, my favourite is White Rose. Recommend this game for anyone. Rated 5 out of 5 by EvilPrincess1426 from Another great game. this is just another great game from Blue Tea Games. I am once again in awe of the detail, the cutscenes. this game is absolutely beautiful, love the story line, really connects me to my inner child, and those stories. Rated 5 out of 5 by pennmom36 from Dark Parables: The Exiled Prince CE Black Forest, Germany, a beautiful young woman is being accompanied by a chaperon, the daughter of the Chancellor tells a tale about the The Exiled Prince. Legend says that whenever a fog rolls through the forest, the frog Prince appears, searching for his beloved Princess, however no one who has laid eyes on the Prince ever returns to confirm this twisted Dark Parables fairy tale! This is just one Dark Parables tale out of an entire series, and happens to be one of my personal favorites. This Collectors Edition has wallpapers, music, concept art, movie galleries, a built in strategy guide and a bonus chapter, The Frozen Lair. It also has one of my favorite features, 20 morphing objects that when found will increase the speed of the hint refill meter. 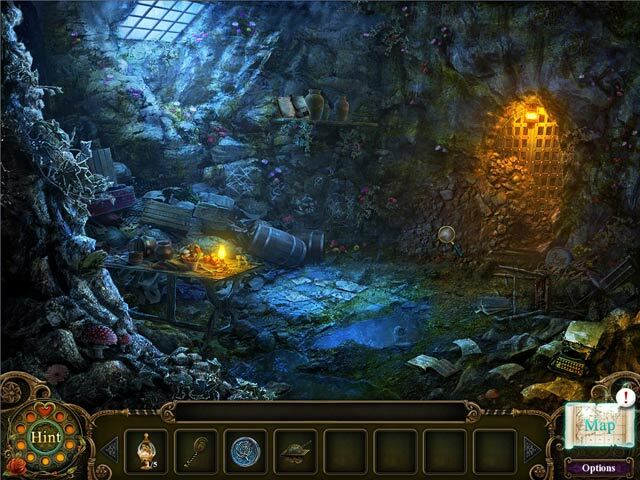 Dark Parables has a unique style of Hidden Object Games, the objects are actually fragments of an object scattered about and surprisingly well obscured. 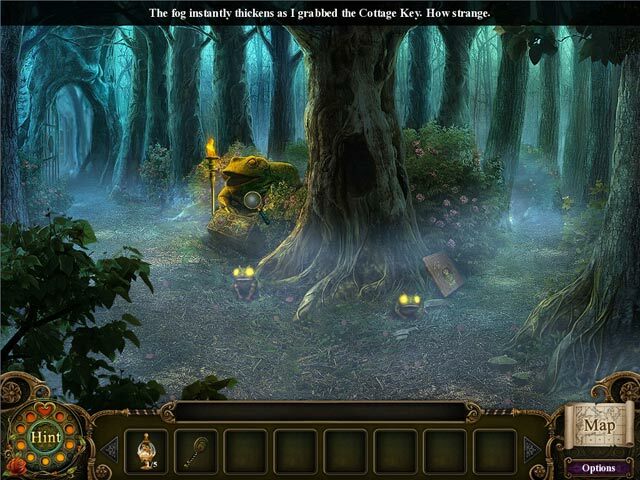 There are three sections and when all fragments have been found the sections will come together to make a single inventory item such as a gate key or a net. My favorite mini game was one that you had to change the numbers on three dice so that the adjoining pair of dice would add up to the sum shown. You can only play this game in a hard mode after completing the game in normal mode. You can grab an inventory item and place it on the hint icon to see what location to use that item in and if you click on the hint button in a mini game, a partial solution will be shown. You simply cannot go wrong with any of the Dark Parables games, they are all top notch and extremely entertaining games, enjoy! Rated 5 out of 5 by redirish1217 from Best Dark Parable game The Dark Parable series is by far my favorite series and this game is the best one among them. I found the story line to be quite interesting but in my opinion the best part about this are the beautiful "locations" (surroundings) and the attention to detail regarding same. Rated 5 out of 5 by stitchbear from Loved it! Loved it! A great game with a great storyline. Enjoyed every minute of playtime. Loved DP Briar Rose and loved how they tied in all of the princesses stories in trying to find the cure. Look forward to playing the next DP game in the storyline. Rated 5 out of 5 by EnvirEng from Phenomenal Graphics, Heavy on the Hogs I loved the game, but it did get a bit tedious at the end. The graphics are stupendous. It is the typical story. Cursed prince captures innocent civilians. You must break the curse to save them. Yada, yada, yada. There are lots of areas to explore. Nice map, but it isn’t interactive and, even when you know where you have to go, it is still hard to figure out how to get there. There is a strategy guide, but I never used it, so I can’t comment on its usefulness. Within the game, on the Map page, there are instructions on what to do next. ‘Search somewhere for a hidden passage way.’ ‘Complete all the HO scenes.’ Etc. You are going to need that help. Also on the Map page, there is a ‘hint’ for each mission. I used one for fun and it was somewhat helpful. I never tried to use a regular hint during regular game play, apparently, you can’t. In general, I am not a fan of morphing objects, but this game did it perfectly. The more you find, the faster the hints recharge. I found 16 of 20 without trying too hard. All of the HO scenes are FROGS. And all of the pieces come together to make three pieces of an elaborate item. The scenes themselves are all frilly and complex. 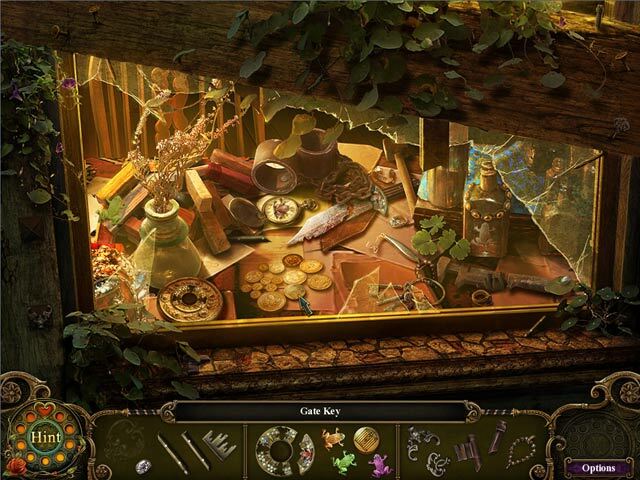 (For example, a big bowl of flowers, cluttered treasure room.) It does make finding the pieces more challenging. Sometimes the pieces are very similar (in color and type) to the background. I did use hints often to find items in the HO scenes. You will be revisiting each scene repeatedly. This game is loaded with HOS. That my biggest complaint about this game. There are mini-games. None are particularly challenging or original. IMHO, the bonus play wasn’t that great. I would not recommend buying the CE. But, I would recommend this game. Beautiful with lots of FROGS (Fragmented Object Games) and frogs, like the prince.